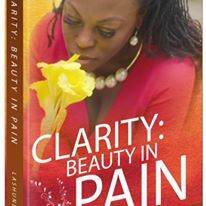 “Clarity: Beauty in Pain” chronicles the painful journey of the author that is, unfortunately, also the reality of far too many little girls today. Through LaShundra’s life experiences she aims to aid the reader in breaking generational curses, heal broken relationships, and overcome past pain. The woman she is today transparently reveals how GOD can create beauty from pain. I have unfortunately gone through every form of abuse there is BUT I was able to overcome with God's help. I recognize that many women have had my same struggles but are stuck in an abused mentality. I wanted to give all those women a voice as well as help through their struggles. All I knew was that the person who was supposed to love me wasn't there for me. As a child, I felt she didn't love me enough to keep me and weather the storm. This was the enemy's first attack: making me feel unloved. He knows that God is love, so if he can find a way to withhold that from the beginning, he accomplishes much.